allowing for emotional balance that could otherwise elude the Cancer individual. 2. 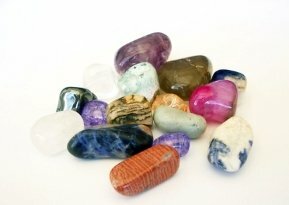 The Chalcedony and Ruby Potential: The Chalcedony releases the Cancerian potential for nurturing and caring. It is a stone that rules brotherhood and group stability, teaching its native to care about others rather than for others. The Chalcedony encourages the Cancer soul to hold on to its internal energy while they aid others in building their own paths. The ability to create a boundary between self and other is essential for the Cancer soul and something that the Chalcedony can definitely help with. Now, the Rubys role on the other hand, is to support the Cancer native in his or her ambitions. Not visible to all, the Cancer individual is actually quite set on accomplishing his or her goals and manifesting latent talents. And the Rubys energy and passion is just the spark needed to help them turn those desires into reality! allowing for a replenishment of spirit and a claming of the tides.